Traveling with an autoimmune disease means that guests need to plan not only for everyday health… but the what-if scenarios. 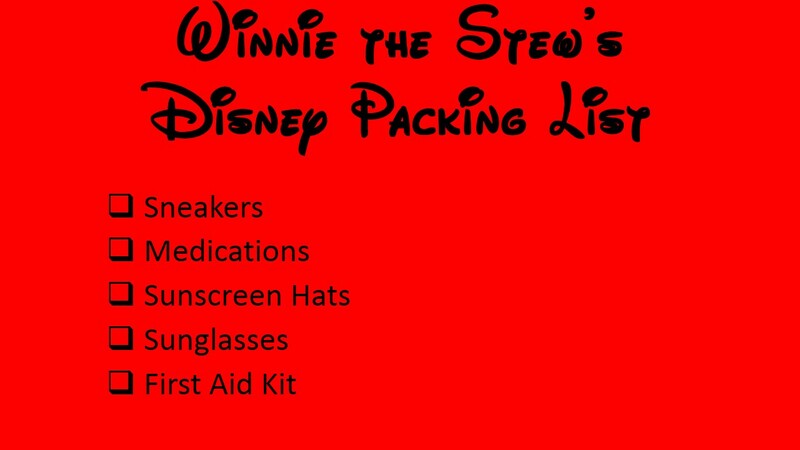 If you are planning a trip to Walt Disney World, you will need to take some steps to ensure both a healthy and safe trip for you. I have been fighting two autoimmune diseases for 9 years and want to share some of my tips with you so you can have a healthier and happier vacation….and avoid the “ouch”! Create a packing check list that you can refer back to when making purchases and gathering items for your trip. Bring items that you use everyday and medications that you only use for the “bad days”…being prepared is key! Pack a high SPF sunscreen. Bring a larger bottle and a small travel sized sunscreen that you can take with you into the park to reapply every 2 hours. Take a baseball hat or a hat with a wide brim… or use the vacation as an excuse to buy a hat in the park. Pack sunglasses and be sure to wear them every time you are out in the sun. I generally pack 3/4 sleeve tops and longer capri pants (crops) so I am getting the most sun protection. Some retail stores also sell SPF clothing and gauzy long sleeved tops that keep you cooler. While on vacation we all want to pack our cutest shoes and flip flops. Vacationing at Walt Disney World means LOTS of walking and standing. Consider that you will be walking at least 6-8 hours per day. That is a lot of time on your feet! Bring broken in sneakers and shoes that you know will comfortably support your feet. Personally, I have found Crocs to be the most comfortable shoe for a day of walking. They come in all different styles, so it’s not just limited to the clogs. I also bring along my broken in pair of sneakers if I know we will be doing some long distance walking. Create a little First-Aid kit to keep in your hotel room and park bag. You can even purchase a small kit at a local drug store. Include band-aids, cotton swabs and whatever topical antiseptic that your doctor recommends. Foot blisters are sometimes one of the evils of walking around all day…no matter how comfy the shoe. When packing your prescription medications in your carry on: Inform TSA personell that you are carrying your prescription medications with you. Depending on your state’s laws, the TSA agent may check the label against your identification, so it may be necessary that the pills are in their labeled bottles. Check the TSA site and your local/state laws to ensure that you are complying so there are no delays at the security line. Strategic planning for your days within the park will help you to stay a little more comfortable. Since there is so much walking, you will want to plan for frequent rest breaks. Daredevil rides are fun, but be sure to adhere to your health restrictions. For example, if you have joint pain…you may want to sit out some of the rides that are a little more adventurous or jolty. If you have special dietary restrictions, note this when making your dining reservations online or on the phone with a cast member. Upon arrival at each restaurant, notify the waitstaff that you have dietary restrictions, and you can discuss available options that will meet your needs. For more information, go to Disney’s Dietary Requests information page located here. Take a break from the sun if you have been walking outside for a while. This is the perfect time to sit in on one of Disney’s theatrical experiences or a longer ride. There are a few staple indoor air-conditioned and outdoor sit-down attractions that I go to in each park when the sun just gets too hot or my feet need a break. Wheelchairs and Electric Convenience Vehicles are available to rent in every park. Multi-Day: $10 per day for the length of stay. Wheelchairs are rented on a first-come first-served basis…so getting to the park early is essential on peak attendance days. For guests unable to wait in lines, Disney offers a Disability Access Card. This card allows you to go to a ride and acquire a return time so you can avoid standing in the line. The process is similar to the FastPass in which you come back at a given time to enjoy the ride. Guest Relations in each park assists guests through the registration process. Click here for additional details. If you are unable to stand for long periods of time or have difficulty walking, this may be a great option for you. If you have any additional tips for traveling with an autoimmune disease, please share them. Wishing you the happiest and healthiest of vacations! This entry was posted in Uncategorized, Walt Disney World and tagged Arthritis and Walt Disney World, Lupus and Walt Disney World, RA and Travel, Traveling with Lupus, Traveling with RA, Walt Disney World With an AutoImmune Disease, Walt Disney World With Arthritis. Bookmark the permalink.